My Home Expired, Why and Now What Should I Do? My Home Expired! Why and Now What? Selling a home is not easy, but it isn’t rocket science either. Unfortunately, some real estate agents and their sellers certainly make it look like it is rocket science at times! Every day homes expire and new ones are listed. There are many reasons why a home is not selling. Just because a home isn’t selling right away, doesn’t mean it has to become another victim of the expired list! It is extremely important for a seller to first analyze the possible reasons why their home was unsalable. The number one reason a home expires is because the home was overpriced. There are other real estate pricing mistakes that are commonly made as well, that could be easily avoided, if potential sellers are aware of them! So, what if a seller has “blinders” on and cannot seem to figure out why their home expired and didn’t sell? Here are some common reasons why a home expires and didn’t sell and also what the next step should be! The number one reason a home doesn’t sell and expires is it is priced too high, period. “Price them high, watch them die” is a commonly used slogan within the real estate industry. When a home comes on the market, it is critically important it is priced correctly! The price a home is listed at does a large portion of the marketing of a home. In fact, if a home is overpriced, the best real estate agent with the most extensive marketing plan will not be able to sell the home! The buyers who are entering the marketplace on a daily basis are more educated than 10-15 years ago. The primary reason for this increase in educated buyers is the internet. There is so much information available to buyers that they often know when a property is overpriced and will not waste their time viewing the property in person. How about the home that was overpriced when it came on the market, is it too late for this home to be sold? The answer is NO! Are the first two, three, or four weeks a home is newly listed the most important? Absolutely. If the listing price was not correct from the beginning, it is critical a change is made! If a home is not under contract after the first 2-4 weeks of being listed, the price is wrong and a price reduction needs to be made. A lack of Social Media and Online Presence by a Real Estate Agent could be a major reason a home didn’t sell and expired! Who was the Real Estate Agent Selling the Home? Another huge reason homes don’t sell and expire, probably the second largest reason, is the real estate agent selling their home was not the correct real estate agent for the job. In every community, worldwide, there are hundreds or even thousands of real estate agents. Some good real estate agents, lots of terrible real estate agents, and a few great real estate agents. It is extremely important that when selling a home, the seller selects the “right” real estate agent to sell their home. There are many things that every seller should consider when selecting the real estate agent who will sell their home. When a home expires and a seller is reflecting on their real estate agent, they need to ask themselves, did we interview multiple real estate agents? In most cases, it is important that sellers interview more than one real estate agent. There are many great real estate questions that sellers need to ask to ensure they hire the correct agent for the job! Another thing that needs to be considered when a seller reflects on who was selling their home that has now expired is the strength of their marketing. Was the real estate agent internet savvy? Did the real estate agent utilize social media? These are only a couple of the questions that a seller whose home expired should ask themselves. With over 90% of buyers beginning their home search online, it is extremely critical that a seller’s home is able to be found online, whether it’s via a blog, Facebook page, Twitter Account, Google Plus Account, or other online websites. For example, if a homeowner is looking to sell their home in Webster, NY, it is pretty important that any potential buyer searching for “Webster, NY Real Estate” is able to find the sellers home. A great way to find out the level of a real estate agents strength when it comes to online presence and social media is to simply do a search. A Google search of the real estate agents name should not only provide results of the agents social media accounts, if they have them, but also their blog or personal website. Other generic searches, such as “Real estate agents using social media in Rochester, NY,” can also provide some quality information and a good idea of who is utilizing these extremely important websites! The level of competition is another possible reason why a home expires. The more homes that are for sale that are comparable, the lesser the chance that these similar homes will be shown and/or sold. If the level of competition is high, a home must have something that sways potential buyers to select that home. Pricing a home correctly from the beginning is even more important to a seller who will face a strong level of competition, and is just one way a home is able to be sold before their neighbors! Do levels of competition change throughout the year? Absolutely! Depending on the time of year, the number of homes for sale varies from community to community. Competition when selling a home cannot be avoided but certainly can be reduced, so a seller whose home expired should know what the competition level is and also ways to reduce it! Did the agent shared a “market absorption” report with the seller? This is another way to determine the level of competition within a given area at any given time! What was the feedback (if any)? Some things can be corrected, such as odors and minor updates, so they do not become the reason a home expired and didn’t sell! When a home is listed for sale, feedback from potential buyers is very important. Many sellers don’t even know what type of feedback to expect from showings, because they never receive any! Many real estate agents will put a sign up in front of a home and hope that is sells, also known as a post and pray Realtor. Without feedback, things that possibly could be corrected, aren’t! What about if feedback was being provided during the previous listing period. Were there items that could have been corrected to make a home more salable? Often times homeowners rush getting their home on the market and don’t property get it “market ready.” There are often times small and inexpensive things that a seller can do before listing their home to make it more desirable! What about the items that may have been overlooked prior to listing a home? Foul odors can be a huge reason why a home doesn’t sell. Whether it is a strong pet odor, smoke odor, or just a reoccurring odor that potential buyers continue to give as feedback, foul odors absolutely can kill a home sale! Preparing a home for showings can be the difference between a home selling or expiring! Negative feedback can be avoided before a potential buyer walks through a home, with the correct preparation. Real estate agents to often will neglect to educate their sellers on several ways they can prepare their homes for showings! Now that a sellers home expired in the MLS, what are the next steps? The first thing is to reevaluate the possible reasons why their home didn’t sell and expired. Was it overpriced? In many cases, sellers don’t believe there home is overpriced when in reality, it is. Ask for other opinions on price from other top real estate agents in the area. Are these top real estate agents recommending a price less than what your home was last listed for? If so, price could have been the primary reason for an expired listing. A common trend for expired listings is to be re-listed by the same real estate agent. Doesn’t this seem foolish??? If a real estate agent did not sell the home during the first period, what are the chances they will sell it during the next? At the very least, before re-listing with the same real estate agent, interview, interview, interview! If a seller neglects to interview, it is very possible their home will end up on the dreaded expired list again! Unfortunately, there are sellers who just listed their home for sale who will end up on the expired list. The above mention reasons are just a handful of reasons why a home expires. What other things do you believe are the reason(s) a home does not sell and expires? What is a Comparative Market Analysis in Real Estate? Did your Greater Rochester, NY home recently become expired? Don’t let this become a trend, because it doesn’t have to become one! 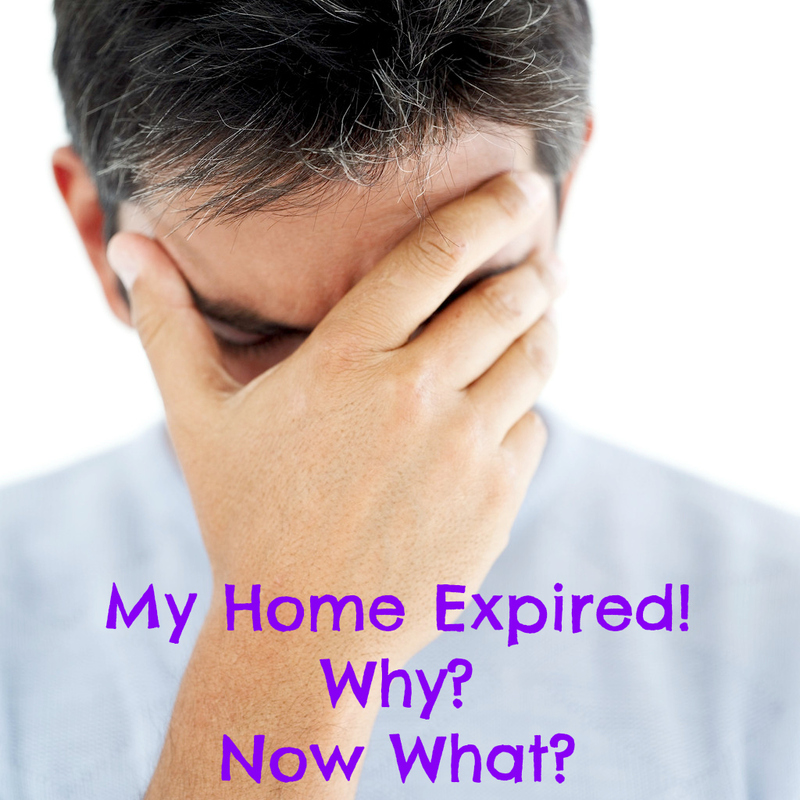 Are you unsure why your home expired? We’d love the opportunity to interview and explain to you why your home didn’t sell and why we can sell your Rochester, NY Home! Contact us today and let us prove that we can sell your expired Rochester, NY home! About the authors: The above article “My Home Expired, Why and Now What Should I Do?” was provided by the Keith Hiscock Sold Team (Keith & Kyle Hiscock). With over 30 years combined experience, if you’re thinking of selling or buying, we’d love to share our knowledge and expertise.